With all of the different methods we see online now as the so-called “perfect” way to get fit or ripped, it is very confusing. The one thing we have more than anything else in the modern world when it comes to dissecting what exercise can do for us is information, too much information. And while there are many different approaches, some are designed to get you the results in less time, and so forth, when it comes to stripping away all of the pretenses of modern exercising, it goes to show that classic training is the best method, always has, and always will be. While most people structure their workout routines based on how they want to look, which usually means having chiseled, defined abs, the real way to get these defined features isn't about isolation curls, or training your abs until you're blue (or red) in the face, but good old-fashioned strength training. Why Is Strength Training The Best? In order to understand why this is the best way forward, we have to go back. Going back to the dawn of man, up until around 10,000 BC, our bodies were built, and evolved, to outrun wildlife, to forage for food, and to fight. The fact is with the early forms of human, strength was everything. It was about survival. The idea of exercise is something that didn't need to be discussed, and, in fact, the few tribes of hunter-gatherers that are still around today have no knowledge of workouts. This is because what they do, they build strength and survive, and it’s firmly rooted in their daily existence. So, going through time, through the Neolithic era, where labor-intensive movements, such as farming and raising cattle did diminish their need for overall physical fitness somewhat. But then if you go through the ancient times, the Renaissance, as well as the industrial revolution, these were all focused on physical prowess, not just as a necessary means, but they were duly rewarded, and highlighted in events such as sports. 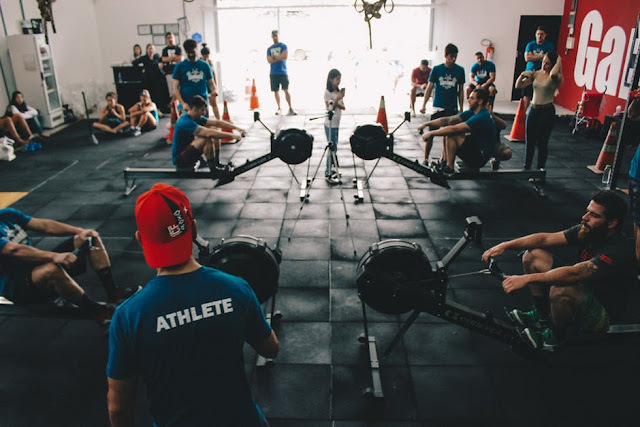 What is particularly telling in the change from the early 20th century, when competitive sports were popular, to the development of the fitness industry we know of today. While there are various sources that claim cardio to be one of the most beneficial forms of exercise, as we’ve seen with the amount of dedicated marathon runners, the fact is that you look after the stereotypical image of a caveman, a Roman centurion, or even that clichéd image of a bodybuilder in the early 20th century, the one thing that combines them is strength training. So, biologically, strength training is the one thing we have on our side that will help us get healthier. After all, it's what we have evolved with! What Is Wrong With Modern Exercising? The big question that needs to be asked, while we have never had more exercise equipment, why are there so many more people obese, sedentary, and terribly unhealthy? The one thing that is a big pointer towards the answer is that there are more programs now that tell us we can get a perfect body with minimal effort, and maybe the right diet and a couple of supplements. The problem with that, of course, is that once it becomes apparent that the goal is not going to be reached, the person gives up exercising. We see it constantly, with people giving up the gym a few weeks into January. And people just don't realize that changing your body is difficult. The problem with all these programs is that it claims the opposite. And so, with something like strength training, if you do it right, in conjunction with listening to your body, you can build strength first, a great body second. And that's the way it should be! What Is Right With Modern Exercising? And while there are many concerns with modern exercising, the one great thing we have on our side now is that we have more ways to get strong than ever before. But, the one main benefit to take away from this is that we can do it safely. With various modern exercises like outdoor biking, there are different items of equipment to keep you safe. From the helmet, clothing, and safety lighting all the way through to shin guards, resistance bands, and foam rollers that you see in the gym. So, from sites like outboundlighting.com to goroll.com, the market for safety equipment in any form of modern exercise is well and truly covered. And, because humanity has now got to a point where there are so many people overweight and unfit, the variety in exercise now means that people can build up gradually. It would be unwise for someone overweight to immediately start deadlifting 100kg because their heart would give out. And this is why something like strength training is great as a form of exercise because it's one of the few methods of training wear your body has to adapt quickly to its surroundings. Going back to the evolutionary reasons of why we build muscle, if you put enough stress on your body, your body adapts to make you stronger. This is why lots of people are talking about intermittent fasting as a great way to help you increase muscle mass. While it sounds counterproductive, by putting your body under a certain amount of stress, in this instance, by not eating for a period of 18 hours, your body finds ways to strengthen itself. Of course, beware of this type of experimenting on yourself, and be sure to get medical advice beforehand. The great thing about modern exercising is that the modern research that goes into what makes a strong is predominantly showing us what we knew all along, that the old methods appear to be the best. People were strong 100 years ago, and they didn't need to eat every few hours so they could fuel their muscle, in fact, food was scarce! So, with evidence to show that strength training is the most beneficial way to change your body, and to get fit, does this mean that the vast majority of modern exercises are pointless? 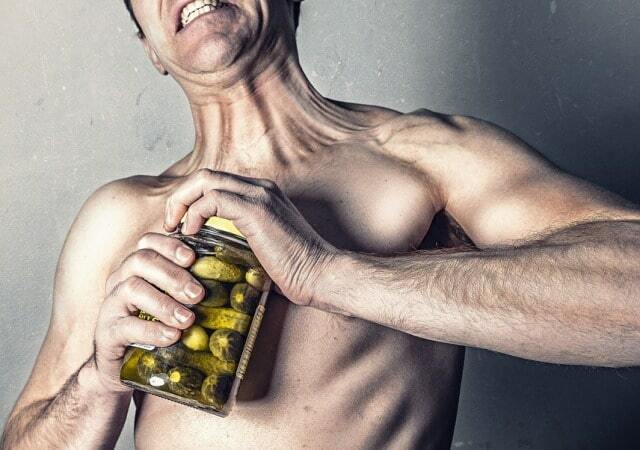 If your goal is to get strong, then you do it by, very simply, fatiguing the muscles you want to enlarge. There are lots of movements dedicated to living in this classic manner. Call it paleo, call it clean eating, but, we've known all this time that diet is the thing that will help you build muscle, and it always will! But now, people are trying to use this information that we've always known and implemented in a way to fix the modern lifestyle. The CrossFit workout routine has been one of the most popular trends in recent years, because it goes back to the old-fashioned methods of lifting heavy equipment, and pushing you to the limits. Or there are items of workout equipment like the x3 bar that is all about fatiguing the muscle in the quickest amount of time, and then there are the old school methods being repackaged for a new audience, such as the 5 x 5 workout. And even this is nothing new; these are workouts that were pioneered by Reg Park, the Austrian Oak Arnold Schwarzenegger's mentor. And it goes by the old-fashioned moves, such as the squat, the bent over row, the chest press, the shoulder press, and the almighty deadlift. These moves are nothing new, and they were used all those years ago, and they are still the best ways to train all the muscles in your body. And, not forgetting outdoor workouts, this doesn't just mean exercising out in the open, but mountain biking is a great way to navigate difficult terrain or exercising in any difficult climate. No doubt we all remember the montage of Rocky IV, where protagonist Rocky Balboa ran up to the top of the mountain, and even people like Wim Hof, who went up Everest in just his underpants, are pushing for the more pared-back approaches to realizing our bodies capabilities. And that's the main thing, our bodies are built for endurance. But, of course, we don't utilize that these days. And strength training is still the best way for us to adapt our bodies. Of course, everyone has their own idea of what works best for them. But as far as biomechanics are concerned, and the evolution of our bodies, it's hard to argue against the science. By our bodies being put under constant tension, it adapts itself to better cope with that next time. This is, ultimately, what muscle is. With modern exercising, the idea that we need to work out 7 days a week, is, frankly, not true. This is why rest days are so important. And this is why any bodybuilder would tell you that sleep is the most important thing for you to build muscle. While there are so many people go running for 5 miles every morning, then hit the gym for a couple of hours, and don't get the results they want, those people are best off with three things, a set of free weights, some safety equipment, and sheer grit and determination. Sometimes it just pays to get back to frugal workouts and go old school! Keep it simple and train hard! I hope you enjoyed this article about why sometimes it pays to go back to old school simple frugal workouts for improved performance. 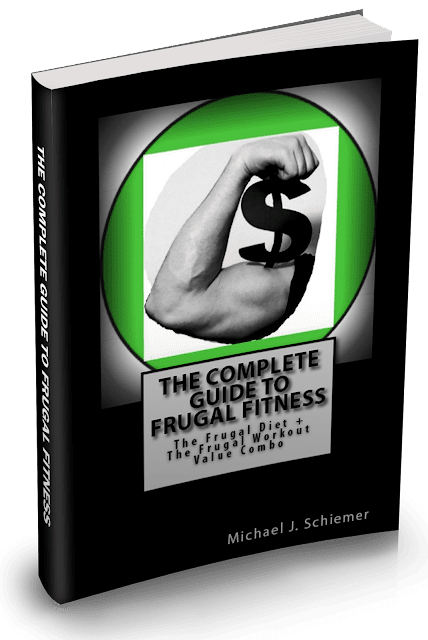 Interested in more articles about frugal fitness workout techniques?